Big Nate is a New York Times bestselling series with more than 5 million books in print! 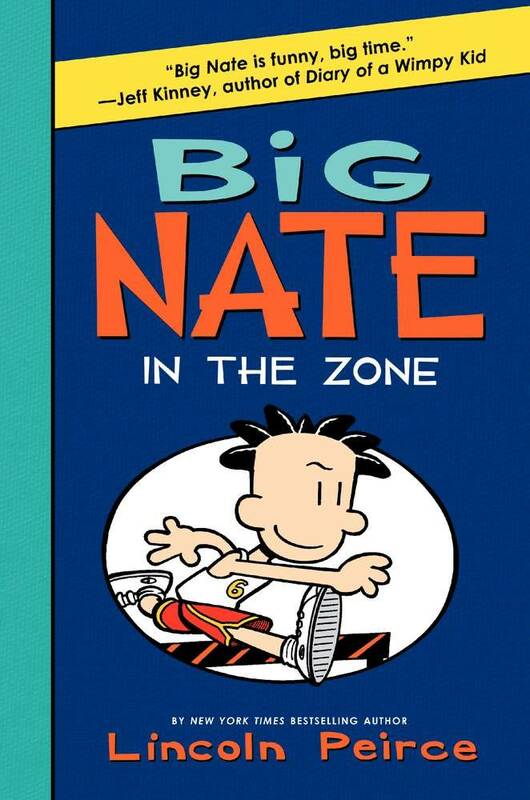 In Big Nate: In the Zone, nothing is going Nate’s way. Until all of a sudden, good luck is everywhere he turns! Nate’s in the zone. But how long will it last? “Big Nate is funny, big time,” says Diary of a Wimpy Kid author Jeff Kinney, and this sixth Big Nate novel is a laugh a minute! Nate Wright, ultimate cartoonist and sixth-grade king of detention, is not having the best luck.... In fact, he’s not having ANY luck. But with a little boost thanks to Chad’s lucky foot, all of a sudden everything is going Nate’s way! How long can Nate stay in the zone? Big Nate: In the Zone boasts more than 500 black-and-white illustrations, including a brand-new rival for Nate, an Enslave the Mollusk performance, and awesome Nate Wright original comix. And there’s big-time buzz for the Big Nate series—Big Nate: In a Class by Himself was selected for the Horn Book Fanfare List of Best Books of 2010 and BarnesandNoble.com’s Top 10 and was an IndieBound Spring Pick and a Children’s Choice Book Award finalist. In a Class by Himself was also the 2011–12 Great Stone Face Book Award winner in New Hampshire! Big Nate on a Roll was nominated for the Young Reader’s Choice Award of the Pacific Northwest and won the Southwark Book Award in the UK. And Big Nate Goes for Broke hit #22 on the USA Today bestseller list when it debuted! When Big Nate Flips Out came out, the series hit the New York Times, USA Today, and Publishers Weekly bestseller lists! Big Nate has been licensed in twenty-five foreign deals so far, and the Big Nate: Comix by U! app has charted in the iTunes store for both the iPad and iPhone versions. The first five Big Nate novels and two comic compilations are available as ebooks for your Apple device, Color Nook, or Kindle Fire! In July 2012, Pressman Games released a Big Nate board game, card game, and two jigsaw puzzles nationwide! There’s also an apparel deal for Big Nate in the works! Nate’s hilarious antics just keep on coming, and they will have you rolling on the floor with laughter!